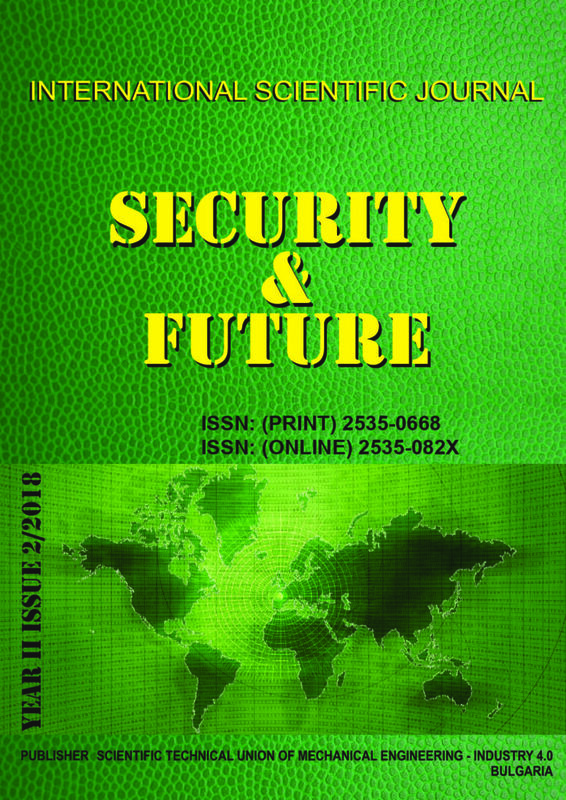 The article contains considerations regarding in the area of the so-called human factor as a potential source of hazards and proliferation of threats. The issues of conceptual and definition matter as well as selected types of threats were analysed – including attacks of type inside-job and generated by social engineering methods. The analysis is focused on nationalism, populism, hate speech, multiculturalism. The processes designated as globalization are mobilizing a resistance that increasingly manifests itself as an effort to preserve the identity of various ethnic cultural and religious traditions. Populist extremism is nourished by what it describes as the antagonism between the organic, “pure”, nation and the nation’s enemies, whether these be the Jews, the Muslims, the ethnic minorities and/or the “corrupt elite”. Populism is a distorted form of democracy that promises to fulfill the loftiest ideals of democracy (“Let the people decide!”). In other words, the threat comes from within, because the politicians that represent that threat speak the language of democratic values. Hate speech is an utterance that denigrates or stigmatizes a person or a number of people on the basis of their affiliation to a group that usually, but not always, has certain unchanging characteristics, for instance, an ethnic or religious group. The fundamental problem here is the lack of understanding that the responsibility for the actions of one person may not be shifted to all people having some trait in common with the perpetrator. To distinguish between the individual and his group is a fundamental principle of democracy. The discussion on multiculturalism cautions against the attempts to idealize multiculturalism: the philosophy and reality of multiculturalism do not always overlap. Most European states are inclined to think of multiculturalism mostly as a framework for the coexistence of different cultures rather than as a transnational mechanism for the integration of new settlers within a dominant culture. According to the critics of multiculturalism, Europe has allowed excessive immigration without requiring sufficient integration, an inappropriate course that has resulted in the erosion of social cohesion, the undermining of national identities and the decrease of social trust. The defendants of multiculturalism, for their part, respond that the problem lies not in excessive diversity but in excessive racism. A core set of shared basic values and rules (the Constitution, the laws, the shared language) guarantees the cohesion of the whole and at the same time sets boundaries to the right to be different and to the principle of equal standing of cultures. The general framework holds clear primacy over the particular cultures. The immigrants may preserve and maintain only that part of their cultures that is not in contradiction with the mandatory shared whole (“selective preservation of culture”). The basis of the technological security of the state is having its own economic and technological potential, the level of which should meet international standards and requirements of the time. Original position when you create a technological imperative for economic development of the state was that profitable the economy must be high tech due to the increase of production and competitive due to the constant renewal of technological assets. The technological imperative, first of all, for the choice of priority technologies. To process safety must include: scientific and technological, ecological and technological, production-technical and information-the knower of the sphere. The methodology of diagnostics of a condition of technological safety, should be based on the methodology of interdisciplinary analysis. The system of criteria of technological safety should include quantitative and qualitative characteristics of the resource, production and research capacity, competitiveness of products on world markets and the ability to withstand the negative influence. Today leaders of the world community is gradually becoming a state whose economy is not based on resource potential, and the use of the latest technologies in all sectors of the economy: from production to provision of services and control functions. 5-th generation mobile networks aim higher capacity than current 4G, allowing higher number of mobile broadband users per area unit, and allowing consumption of higher or unlimited data quantities in gigabyte per month and user. 5G research and development is extremely important for the security of the human society. 5 G will have applications not only in the army and the police, but in the public transport, video monitoring, Internet of Things (IoT) etc. aiming at lower cost, lower battery consumption and lower latency at GHz frequency bands (millimeter waves). The use of directional antennas and space diversity at these extremely high frequency bands will improve the secure work of such systems. SCP-RPSC (Spatial Correlation Processing – Random Phase Spread Coding) is an entirely new approach in the field of microwave antenna theory, developed by the author one decade before. Its applications in the future terrestrial, High Altitude Platform Systems and satellite 5 G communications is considered in the report. Block schemes and advantages of the proposals are given too. Software Defined Networks (SDN), which are new paradigm for building networks, provide a possibility to increase network performance and security. SDN centralize network intelligence in one network node called controller and underlying infrastructure which transport data across the network consists of switches which are orchestrated via appropriate protocol by the controller. Switches are cheaper because all the protocols needed to perform routing and other services in the network are centralized in the controller. Next advantage of the centralized SDN architecture is that information about the state and the behavior of the network are available in the controller. We can use this information to make critical decisions to better utilize network resources and improve network security. At the controller we perform network traffic monitoring, analysis and management. In this work we propose to use extended measurement vector and Machine Learning (ML) model to detect Denial of Service (DoS) attacks. Controller then take actions based on the ML model output to stop or counter the attack. The future of Internet communications is trending at Internet-of-Things (IoT) and furthermore: Internet-of-Everything (IoE) with Wireless networks deployed. But most important in the development of wireless networking is the security issue. Computer and networking security will be the great wall built over systems and networks. In this scientific research paper the weakness of Wi-Fi passwords over protocol WPA2 in a controlled network environment is tested along with WPS protocol. The open source operating system KALI LINUX is used by the means of instrument “aircrack-ng” and “bully”. Nowadays, information systems security is a crucial aspect – vulnerable system endpoint can lead to severe data loss. Intrusion detection systems (IDS) are used to detect such unfortunate events. Implementation place defines the type of IDS: network-based (NIDS) for network traffic monitoring or host-based (HIDS), to detect malicious actions on the host level. IDS can be effective only if generated alerts are correctly evaluated and classified, what is typically done by a trained staff, but requires a lot of time and human resources. While a lot research is done with NIDS alerts evaluation, HIDS research is lacking behind. HIDS reported operating system calls could be used to define the importance of alarms and steer analysts to the most critical issues. In this article we demonstrate the applicability of our created Attack-Caused Windows System Calls Traces Dataset (AWSCTD), which is currently the most comprehensive dataset of system calls generated by almost all modern malware types, for training different classification methods on malware type recognition and later alert prioritization. The effectiveness of different classification methods is evaluated, and results are presented. Currently achieved results allow to decrease the load on analytical staff, dealing with malware classification and related alert prioritization by 92.4%, which makes this approach applicable for practical use. Numerous are the tools that configure security and protection systems for port infrastructures. At the same time, very few are the tools that have been developed in the Republic of Bulgaria and are being implemented in a number of countries around the world. This report presents tools / systems that provide security for the outer perimeter / outer boundary of the port security system and those that provide “internal” security to the internal perimeter of port infrastructures. These are the hydro-acoustic system developed by Hi-Tech IMS Ltd. for providing the so-called “Outer” security and underwater robot “ARMUS”, providing the so-called “Internal” security of the underwater security systems of port infrastructures. Both systems are exceptional developments in the company and could successfully secure underwater security at the seaside. Both systems are new to Bulgaria, and the underwater robot has no analogue in the world with its features. The paper deals with the assessment of material used for the construction of protective structures and elements of military and civilian infrastructure. Since the main reason of protective structures is to protect personnel, equipment and equipment from attack by hostiles, it is necessary to conduct tests of material ballistic resistance and resistance against contact or distant explosion when choosing suitable materials for building protective structures. In order to achieve the aim of this work, from several basic groups of NDT methods was selected. Based on the evaluation of their advantages and technical possibilities, representatives from 4 principally and physically different groups of NDT methods were selected, i.e. visual method, ultrasonic method, hardness method and resonance method. The practical part of the paper is focused on the design of the material evaluation by means of NDT methods. In the first stage, the setting of the measuring devices was performed. Laboratory measurement was then carried out, on the basis of which calibration relations were established to determine the basic mechanical properties of the material. The material evaluation is described fort both, newly designed elements and for material in already built structures. Laboratory and field tests were performed during the assessment of the material of the newly constructed elements. In laboratory tests, the test specimens were evaluated by NDT methods. In the field tests, the test specimen was subjected to an explosion, the effect of which was subsequently evaluated by NDT methods and compared with the results of the same method prior to loading.